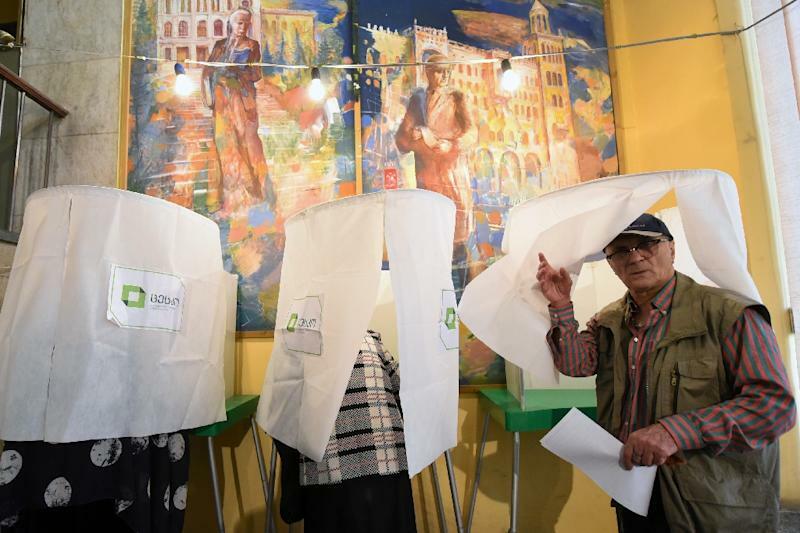 Tbilisi (AFP) - Georgians voted Saturday in bitterly contested parliamentary polls that have sparked fears of political instability in the Caucasus nation, with two pro-Western parties tied after a fraught campaign. The knife-edge elections see the ruling Georgian Dream party, led from behind the scenes by billionaire ex-PM Bidzina Ivanishvili, grappling with the United National Movement (UNM), founded by exiled former president Mikheil Saakashvili. Tensions have risen ahead of the vote in the ex-Soviet republic -- which fought a brief war with Russia in 2008 and seeks EU and NATO membership -- after a car bombing and shooting incident at a rally. Georgia's Western allies will be watching closely to see if the strategic nation -- praised as a rare example of democracy in the former Soviet region -- can cement gains after its first transfer of power at the ballot box four years ago. Georgian Prime Minister Giorgi Kvirikashvili has promised free and fair polls, which "will mark a truly important step to the future of democratic Georgia." The International Society for Fair Elections and Democracy, which deployed 600 monitors across the country, reported instances of various procedural violations at polling stations, including "the restriction of observers' rights." Other observers noted that the electoral legislation and huge financing give an unfair advantage to the ruling party. "Overall, Georgia's electoral system -- both legislation and practices -- favours a ruling party," Anna Natsvlishvili, chair of the Young Lawyers Association rights watchdog told AFP. Politics is still dominated by Saakashvili and Ivanishvili even though neither holds an official position, and their parties are hoping to score landslide victories. But opinion polls have the two neck and neck in the race to form the next government, leaving analysts warning the country of 3.7 million could slip into political turmoil if there is no outright winner. "The most likely outcome is that there will be no outright winner," said political analyst Gia Nodia, adding that a coalition government will be tough due to "lots of hard feelings between parties." Due to the country's complex election rules the final makeup of the 150-seat parliament may only become clear by late November. While the two main parties remain firmly committed to Georgia's pro-Western trajectory, for the first time in decades the vote may see one of several small pro-Russian parties make it to the parliament. "If an anti-Western party secures a bargaining power in forming a coalition, that may have a negative impact on Georgia's bid for membership of the European Union and NATO," Corneli Kakachia, director of the Georgian Institute of Politics, told AFP. 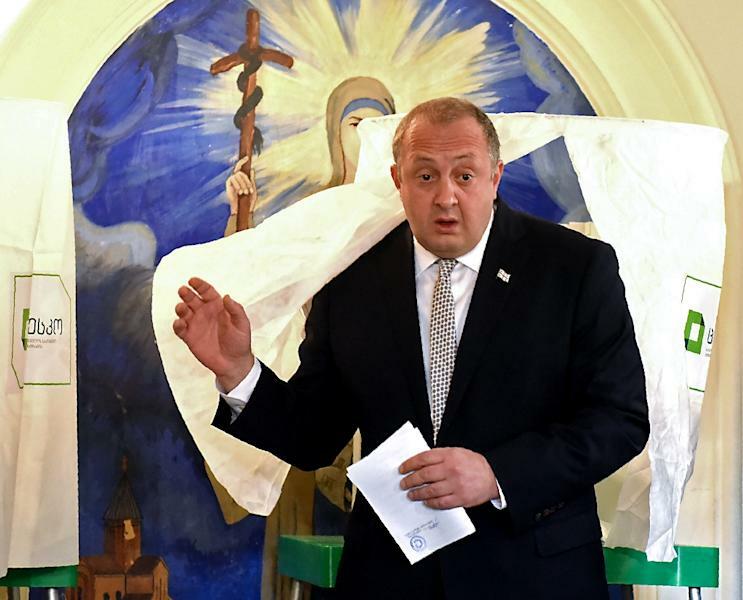 The campaign has been marred by Wednesday's attempted murder of a UNM lawmaker whose car exploded in central Tbilisi, injuring four passers-by. The bombing prompted UNM to accuse authorities of "creating a climate of hatred in which opposition politicians are being attacked". The poisonous atmosphere around the polarised vote follows years of what the opposition sees as political witch hunts and retribution against Saakashvili and his team. 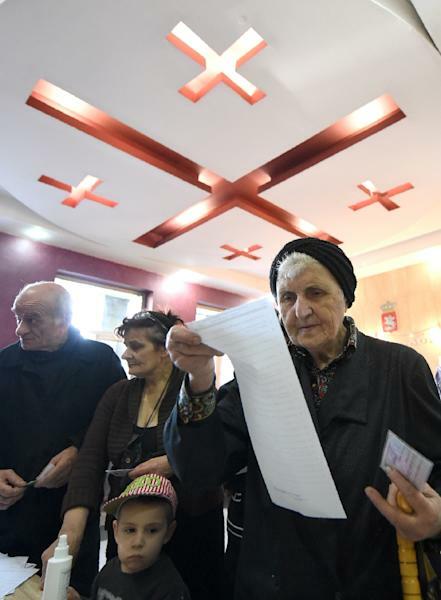 "This election is about saving the country from the devastating rule of the Georgian Dream which proved to be a nightmare," pensioner Otar Vasadze, told AFP as he voted at a polling station in Tbilisi. Another voter, schoolteacher Dali Mgeladze, said: "There is no better choice, I vote for the Georgian Dream". Saakashvili, a charismatic reformer who took over in the Rose Revolution of 2003, was forced out of the country after prosecutors issued an arrest warrant for abuse of power and now works as a regional governor in pro-Western Ukraine. The crackdown on his allies has prompted concerns among Georgia's Western allies that the country could backslide after its sole orderly transfer of power in 2012. The ex-president has pledged to return after the elections but the authorities warn they will detain him if he steps foot in the country. Voting, which started at 8am (0400 GMT) and ends at 8pm (1600 GMT), will be monitored by international observers from the Organization for Security and Cooperation in Europe.